Media industry tongues are still wagging over AT&T executive John Stankey’s June 19 town hall meeting with HBO employees, in which he discussed the telco-giant’s plans for the network. As first reported by the New York Times, which got its hands on an audio recording of the event, Stankey came off like a bull in a china shop, seemingly admonishing HBOers they were in for a “tough year” to meet AT&T’s goal of making the boutique network “bigger and broader,” in the Times’ characterization, by cranking out subtantially more content to better compete with over-the-top services like Netflix. The goal, he said, was more engagement. To many in the rarefied media-world circles of Manhattan and Beverly Hills, that sounded like to smash HBO’s “bespoke culture,” as HBO’s long-time CEO Richard Plepler is wont to describe it, and turn it into a mere content mill. A fuller transcript of the meeting later published by Recode, which also obtained the audio, provided more context to Stankey’s comments that made them seem less boorish and threatening, but in some ways even more challenging. What he was basically saying is that HBO needs to become much more of a direct-to-consumer platform than its current creative and operational orientation as a premium pay-TV channel. It’s not all that different from what Disney is currently trying to do with the upcoming launch of its direct-to-consumer streaming service, and what all traditional media companies are trying to figure out. But it will be a difficult, and perhaps painful, transition. HBO currently has 140 million subscribers worldwide, about 10 million more than Netflix currently has. Only about 5 million of those, however, are digital-only subscribers. 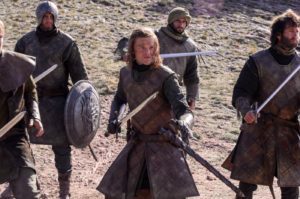 The other 96 percent of its subscribers obtain HBO through some third-party service provider, such as a cable or satellite TV operator, from whom HBO currently collects affiliate fees that account for more than 90 percent of its revenue. Apart from the strategic challenge of building up a direct-to-consumer business without cannibalizing the existing affiliate-based model faster than that revenue can be replaced, HBO faces a huge operational and cultural challenge to becoming a serious competitive force in the direct-to-consumer space. For all its star power and cutting-edge programming, HBO is built and operates as a traditional TV network. Its financial structure is built around affiliate fees, its creative output is geared toward prime time viewing, in weekly installments, over the course of a 12 or 16-week season, and its success is measured by ratings. None of those skills or priorities will get you very far in the world of direct-to-consumer subscription streaming — a world where binge viewing dominates, subscriber churn is high, analytics are more important than ratings, and where variety and breadth of programming are as important as quality. To compete with Netflix, Amazon, and Facebook — who Stankey mentioned several times in his town hall — for eyeballs and engagement, HBO will need to learn to think about programming for an audience beyond Sunday night prime time viewers and how to hold onto viewers when the program they’re watching is over. Fortunately, HBO already has some of the tools it will need in place. It already has valuable non-episodic programming, such as sports, particularly boxing, and comedy specials. HBO could also serve as a streaming “front door” to libraries of non-HBO content, either licensed or aggregated from other Warner Media brands. Still, becoming a predominantly direct-to-consumer brand will require major operational, organizational, financial, and creative changes at HBO. And it’s likely to take more than one difficult year.